The Roccat Renga Boost has a tough job in front of it: deliver quality sound at a modest gaming budget. By and large, this gaming headset does produce those results, though there are compromises made in order to get that price point down. This is an understated headset visually, with a simple plastic build and black from top to bottom. The all-plastic design is the first thing I noticed, and with it comes both positives and negatives. Admittedly, it can look or feel cheap right at first, but it only takes a few moments to observe that the design is durable and I can appreciate how lightweight it is. The headband in particular deserves credit for using a design I have seen and enjoyed in other headsets such as the SteelSeries Siberia 200 (which incidentally costs about $20 more than the Renga Boost). The design in question is an automatically adjusting band that relies on flexible adjustment over sliding, notched headbands. The more rigid adjusting bands are great if I'm the only one using it, but I tend to share my computer space with my son and these quick-fit headband designs are great for people like us that tend to share. Another interesting design choice is the somewhat open cup design. 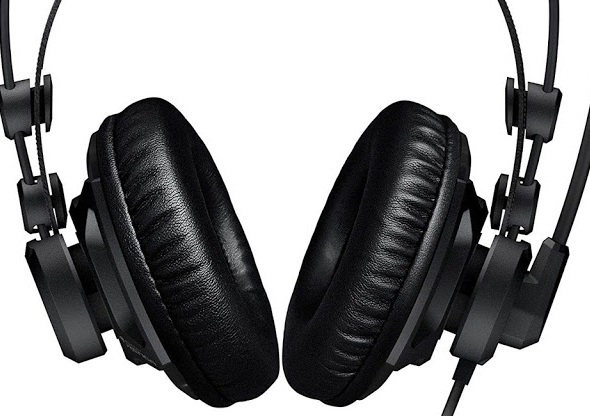 They are definitely comfortable, allowing some air in and out for those who do not like over-the-ear headsets because they can make your ears hot and sweaty. Of course, the downside to this is that ambient sound can get in from the outside more easily as well. So it really depends on the situation. They are perfectly fine if you have a relatively sound controlled environment like I do, but fifteen or so years ago when I had three little kids running around the place with Spongebob Squarepants playing in the background, these would have left me wanting from an immersion standpoint. That being said, the open-backed earcups continue the theme of comfort here, as they are breathable and the memory foam padding is both comfortable and never gets too warm. The headband itself is pretty comfortable as well, and when you add to it the lightweight design, this is a headset that you can wear for hours without it presenting any fatigue, which could make it ideal for lengthy play sessions like an MMO raid. The last physical design notes I want to make is that in keeping with the idea of simplicity around the headset. The boom microphone swivels up and down, but does not detach, and there are no controls anywhere on the headset's ear cups. Instead, there is an inline controller on the cable itself for things like mute and volume control. Finally, the Renga Boost was built with flexibility in mind, sporting 3.5mm audio plugs for the PC to make use of separate microphone and headphone jacks (not a USB connection). This is good for those who might want to use this on their consoles as well, because it comes with an adapter that turns those two connections into a single jack to be used as well. While these design features are certainly important, at the end of the day it all comes down to the sound performance. Roccat boasts 'studio sound' on the packaging and website, and the overall quality is really solid. I would not go so far as to say spectacular, and again some of that comes from the adage: you get what you pay for. On the plus side of the ledger, we have 50mm drivers that actually produce clear, loud sound that handles lows and highs without distortion. It is a well-balanced mix that provides versatility and is more than adequate for most games. That being said, the bass is somewhat lacking for those looking for their rumbling earthquakes and explosions in games, as well as listening to really bass-heavy music. Also, the open back design comes into play here, because not only does ambient room sound get in, but some sound 'gets out' as well, and in some games where directional sound really does matter (like a shooter), the results can be mixed. It sounds good, it just does not necessarily sound accurate. The other aspect of audio worth discussing is the microphone performance. As mentioned before, the microphone itself is a boom style one that is positioned near the mouth effectively, but does not detach. The sound quality is what I would just describe as okay. Some of the results were a bit muffled-sounding, a little bit deeper than my actual voice sounds. It was not bad, people could understand what I was saying when we were grouped, but given how crystal clear the audio output is, it is a bit disappointing how much less crisp the input audio was. 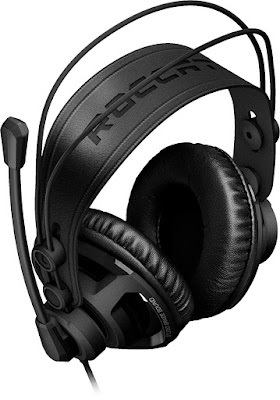 The Roccat Renga Boost is a good low-to-middle point headset that comes in at a reasonable MSRP of $59.99. Some sacrifices to the audio and lack of flashy design are made up for with comfort and a reasonable price. In practical terms, this is a really good headset to use with most games - my personal preference is longer session titles where directional sound is less important, like an RPG or an MMORPG. I probably would not use this for a shooter - especially battle royale styled ones where you have to be completely aware of your surroundings at all times. The Ranga Boost can be worn for many hours quite comfortably, making it pleasant to wear for the right types of games.